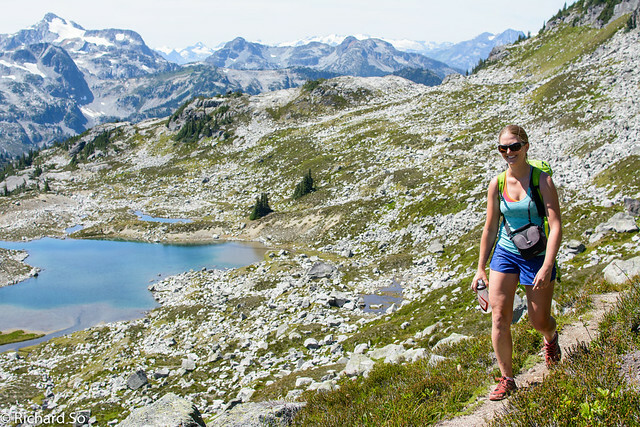 Just east of Pemberton, the Lizzie Lake region is an extensive alpine collection of lakes, meadows and gentle summits, suitable for hiking and ski touring. More remote than the Duffey, it sees far fewer visitors each year. 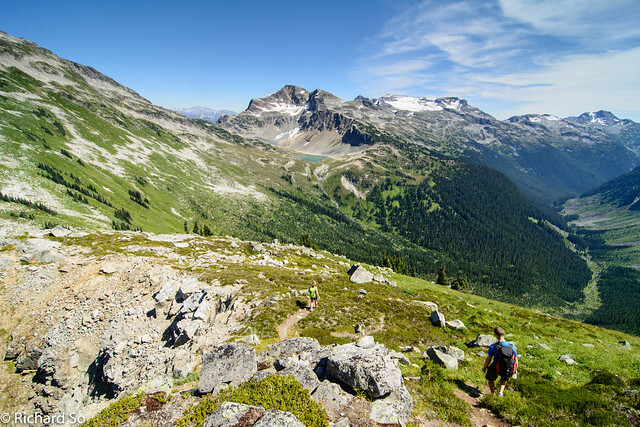 It's also the western entrance to the classic Stein Valley traverse, a rugged backpacking route that usually takes 6-10 days for most parties. Lizzie Lake Forest Service Road blocked by 4 slides, the first of which is approx. 1 km from Lillooet Lake. The road and bridges are damaged in numerous locations; no vehicle access is possible. Lizzie Lake is approximately 10 km from the first washout. 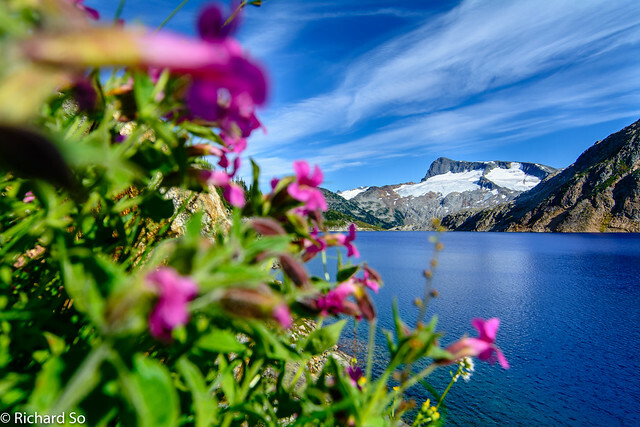 About a 12 km hike from Lizzie Lake to the park boundary during normal mid to late summer conditions (approx. 700 meters net elevation gain from parking lot at Lizzie Lake to park boundary). The road is becoming overgrown. Route finding is difficult at the beginning of the trail. 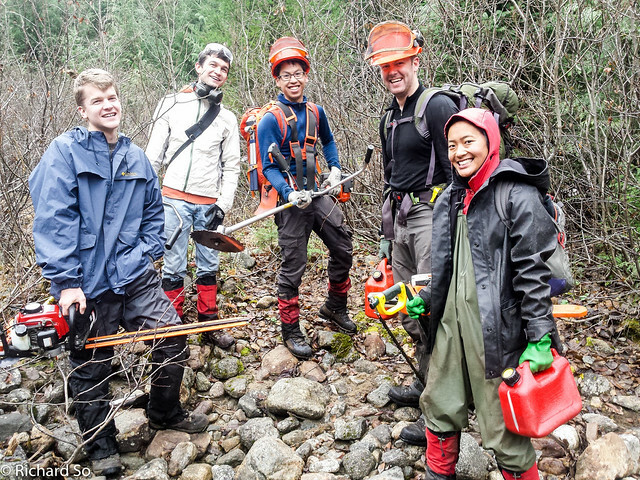 The Varsity Outdoor Club organized a trail work party in July 2010, and were able to clear the road, good enough for walking without having alder slapping into your face on every step. They had also reinforced the centre beam of the cabin with some steel brackets. 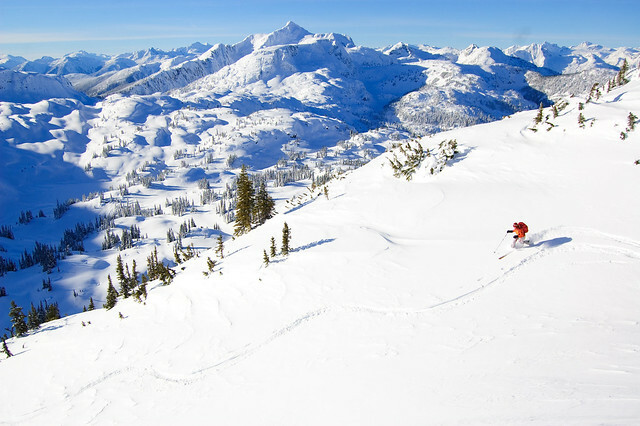 In December 2010, I spent six days skiing up around the Lizzie Cabin, my first trip to the area. 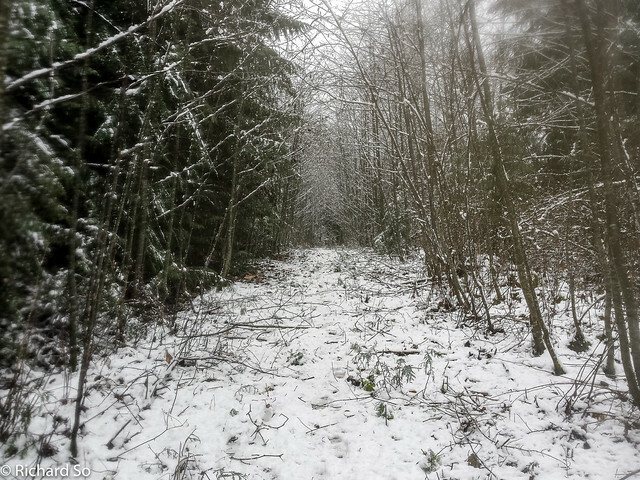 We crossed the washout, each foot in a garbage bag and sandals, and then trashed our way through the snowy alder covered road. 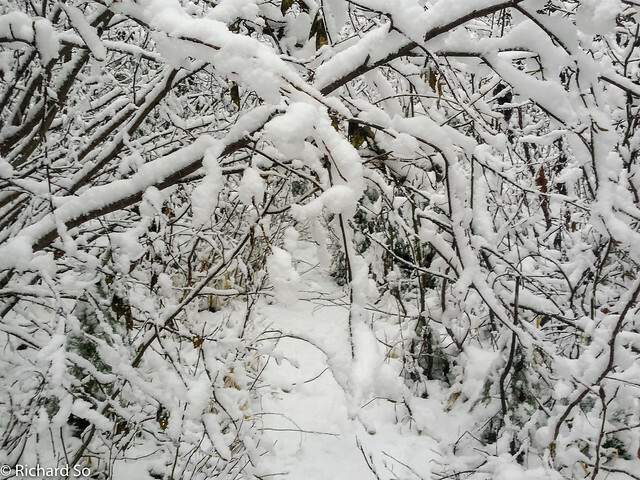 The weight of the snow bent the alder into the road, forming a snowy alder tunnel. It took us over 8-9 hours to get to the cabin, arriving in the dark. This past summer, August 2015, I went back for another visit, hiking in the Stein Valley from Lillooet Lake to Blowdown Pass. 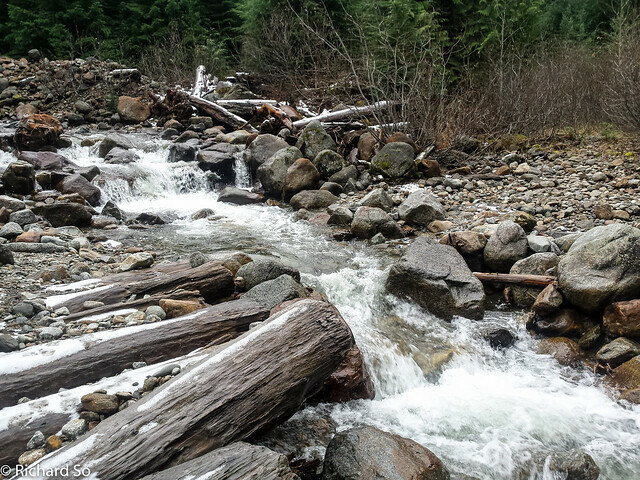 We took the bypass trail, cruised up the relatively open first 5km of the road, crossed a log at Km 5 across the East Fork of Lizzie Creek, and then entered the full on, in your face, no view, alder tunnel that is the last 5km as the road climbs up to the lake. Despite this, with light packs, we were able to get to the lake in two hours of fast walking. There used to be a parking lot here, now lost in the alder jungle. 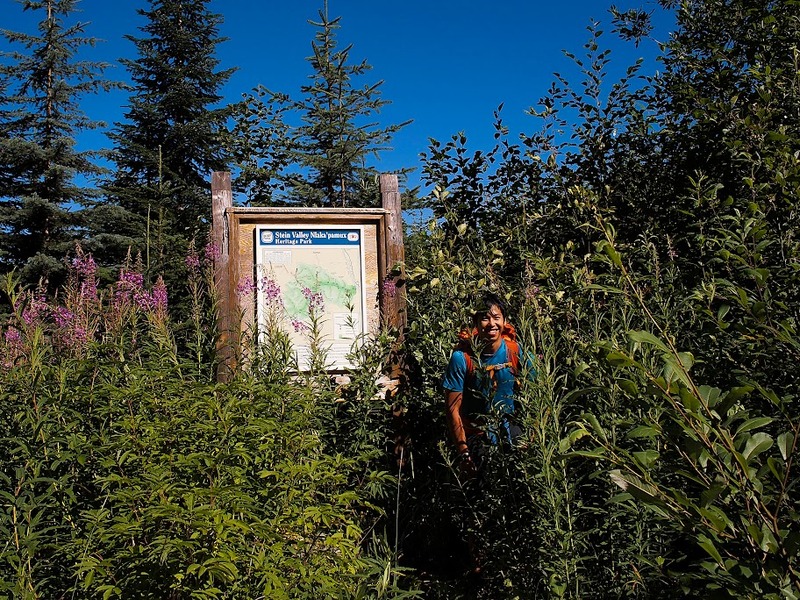 Even the BC Parks sign for the Stein Valley, is mostly obscured by the bush. 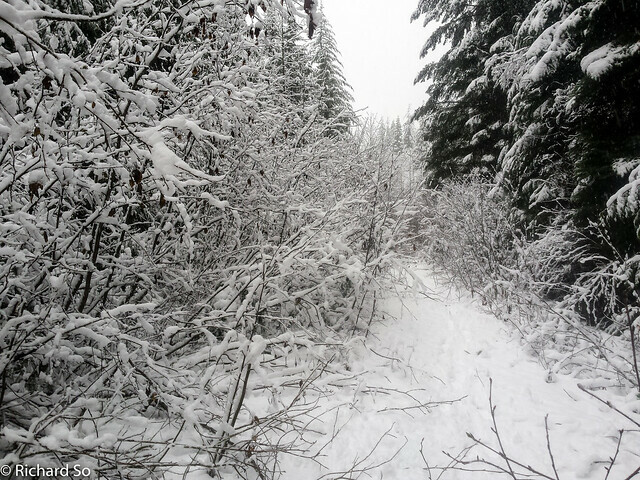 I've been talking with some friends about clearing this trail, and since the skiing is hit and miss in November, I tried to coordinate a work party with the VOC again, on November 14-15. This was suppose to be the shoulder season. This trip was also posted on the BCMC trip calendar, a good thing as it caught the attention of my friend Jason, who had an equal desire to clear the road, but also with the power tools to carry it out. 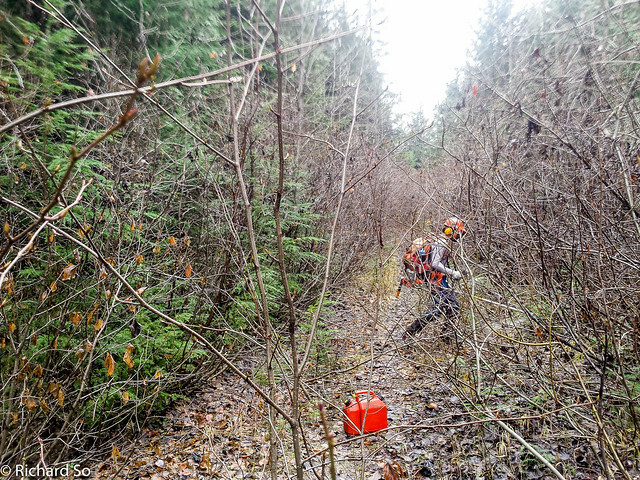 Early Saturday morning, Jason Michael and I left Vancouver, and drove up to Pemberton to pick up a chain saw, brushcutter fitted with a circular blade, and a set of loppers. We drove through Mount Currie, and then 15km down the In-Shuck-Ch/Lillooet Lake Branch FSR to the Lizzie Branch FSR. Continue up the road, and then left up the hill to the first corner. This is where the bypass trail begins. There was only one other car here, and I wondered where the other car of VOCers were. It turns out they had driven higher up on the road, finding another trail leading above the washout, possibly less enjoyable than the lower one. Start of the trail, marked by cairn and a new trail marker. I discovered that it's quite awkward carrying around a brushcutter, as we contoured in forest, with views of the misty treetops. We dropped down around 50m down to the road. 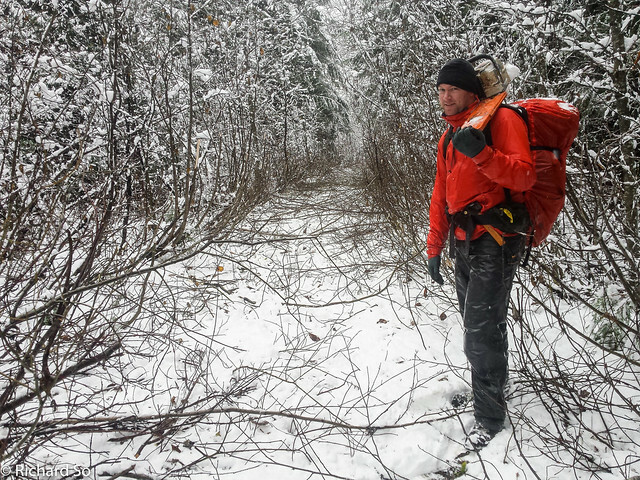 Less than a kilometre up the road, we saw Roland walking down the trail, with his hand wrapped up in an abdominal bandage. He had taken a tumble on the road, slicing up his hand. It needed 7 stitches for the 3cm cut, which went down to the tendon. 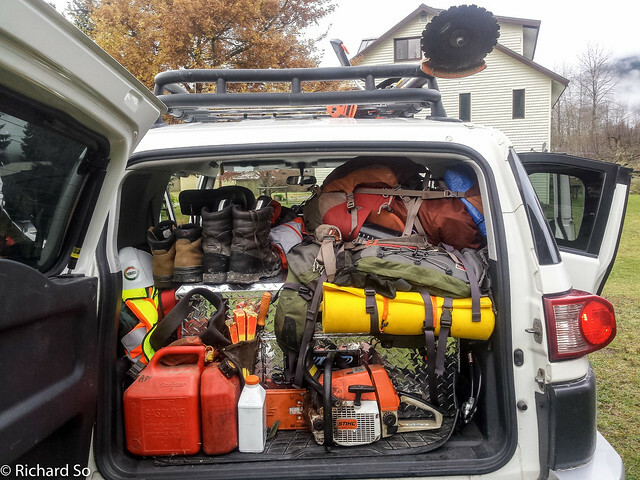 We went to work on the road, Jason on the chainsaw, with Mike and I switching up between the loppers and the brushcutter. We were in a zen-like state, working away in the forest with nothing but the sounds of the two-stroke engine. 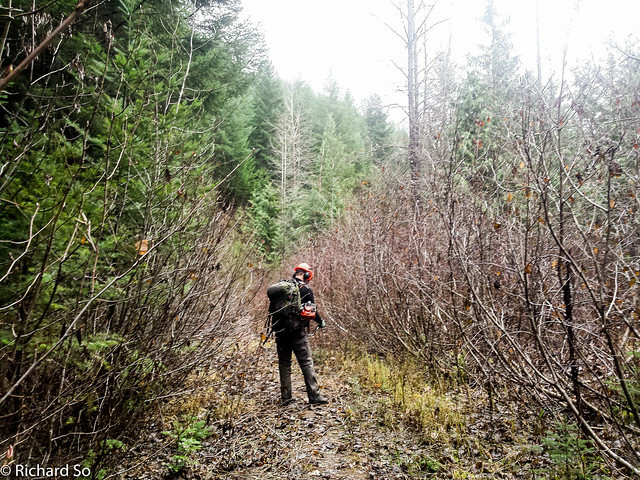 I've spent so much time bushwhacking in the last couple years. It was very therapeutic to be slicing away at the alder instead of squeezing in between. The non-existent bridge over the East Fork. We caught up to Lea, Lianne, Sebastian(?) and Jake(?) who had been working on the road beyond the east fork of Lizzie Creek. 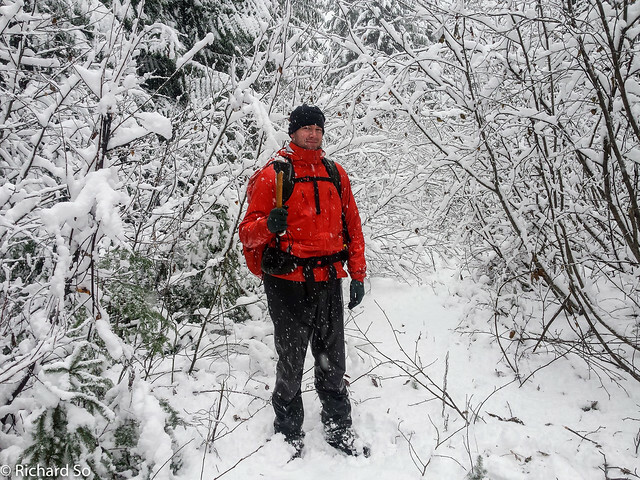 There was a trace amount of snow, maybe 5cm at our high point of 910m. with another 3km left to reach the lake. In the fading daylight, Jason and I mowed down the alder on the sides, getting right down to the base for each cut. By the time we were done, it looked like an excavator had just plowed through it. We stashed the power tools, helmets and gas jerry in the forest. The rain started as we hiked out by headlamp, joined by Cassandra Mirko and Vincent(?) who had hiked up to the Lizzie Cabin. They reported deep snow, potholing up to their waist at times. Jason and I were back at it early Sunday morning. 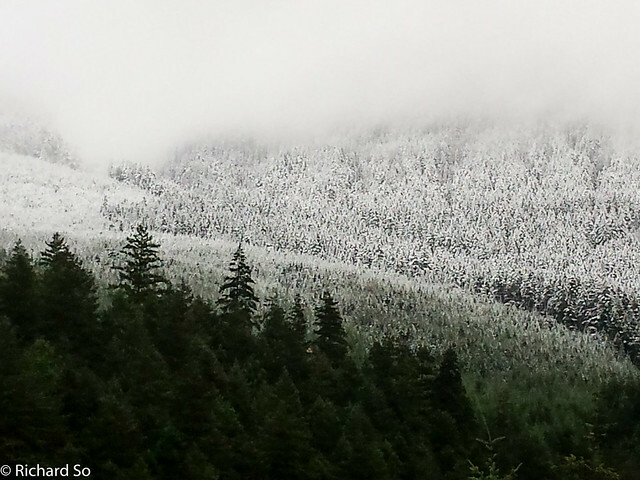 We left the car in the rain, which quickly changed into fat snowflakes above 500m. 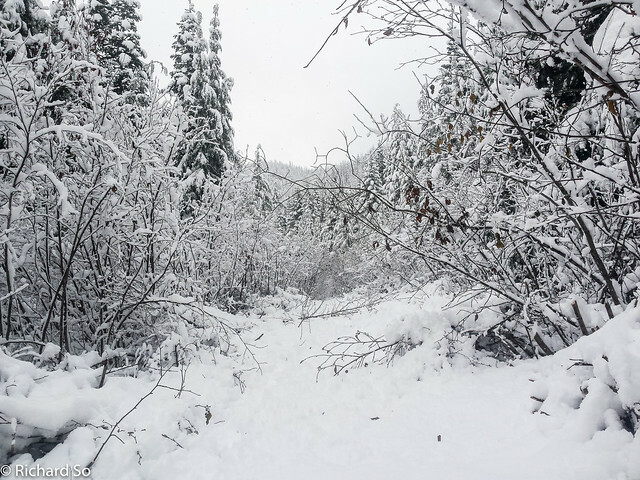 The heavy snowfall quickly changed our plans to get up to the power tools and brush out the upper road. The weight of the new snow, up to 15cm in places, had bent over the alder that was further back in the road. It was disheartening to see this, but also gave me a good sense of how far back we needed to cut the alder. It looked like an excavator had plowed through the road by the time we were done. I'm happy to say that the first 7km of the road is in very shape condition right now. But as the road climbs, the route ahead turns into a snowy alder hell. It was hard to tell where the road was, which was revealed as we dusted off the snow, and the alder sprung back. By this point, I had wet cold fingers, stopping periodically to wring out my work gloves. We found our tools, calling it a day at that point. There was no point in going further with the work, we'll have to wait for the summer to finish the job. I don't remember how bad this section was when I skied up here five years ago. But Kyle, who emailed me earlier, told me that last winter he was turned around by the impassable wall of alder, anchored down by the snow. Hatchet and saw were the tools for today. Upper section looking past where we worked on. Another 3km to go. 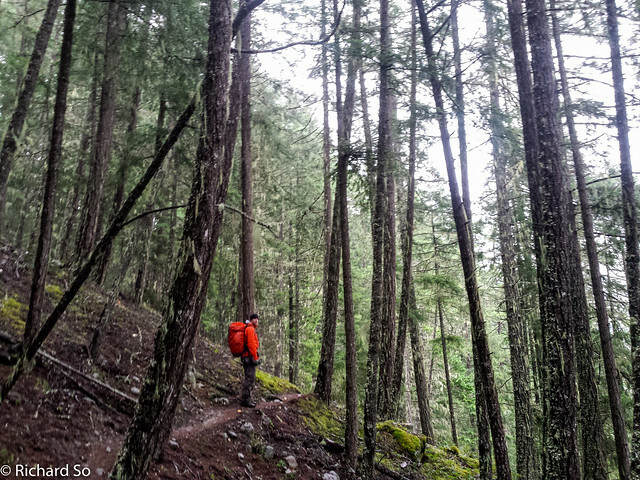 There's still lots of work left to improve access to this incredible area. We'll need to work on the toughest section as the road climbs up to the lake. There's also deadfall across the trail leading up to the Gates of Shangri-La. I'm hoping to organize another work party next summer. If you're interested in helping out, please contact me and I'll keep you updated. Below the washout, where it's possible to cross over in low flow. High point, roughly 3km from the lake. Thanks for doing this! 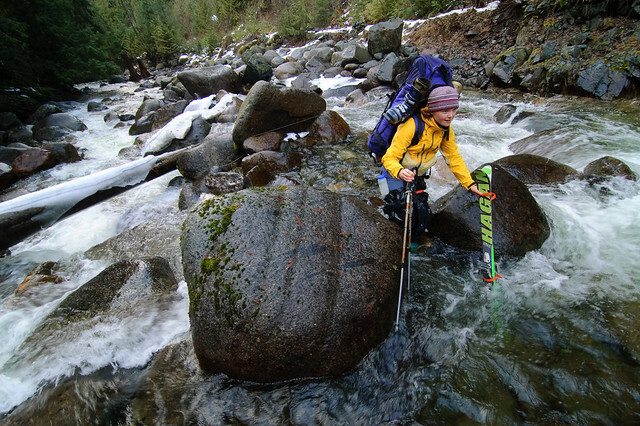 I was up at Lizzie this week hoping to Ski the Stein South Divide to Lytton but the conditions didn't cooperate. Instead I spent a few days out of Lizzie Cabin visiting a few of the easier objectives in the area. 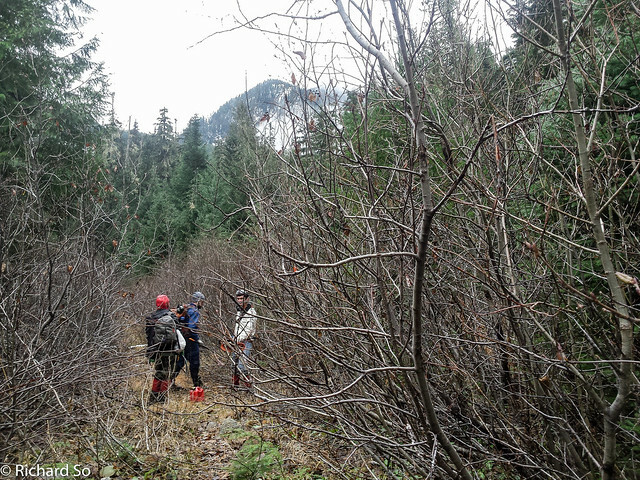 On the way out I did some trail work, tossing most of the cut alders well into the bush so it's easier for summer hikers. Let me know if you're planning another work party for the upper bit. The snowline was pretty low. I put on skins right where you can look back and see the entire valley down to Lillooet Lake. I made it to Lizzie Lake in 4 hrs but the lake didn't look very frozen so I took the summer hiking trail which was a 3 hr disaster trying to sidehill on ice and roots. On the way out I discovered something interesting. 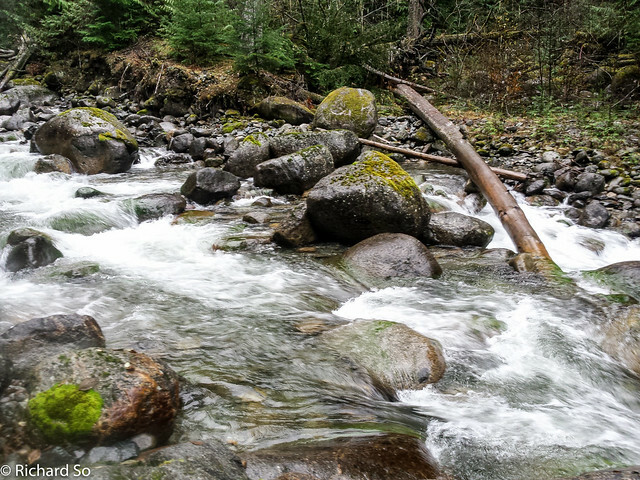 5-10 minutes upstream of the lower wash outs I saw red/black flagging in the woods and a path of small cut trees descending to the logging road on the North side. I wondered if the loggers were re-opening the valley by running a new road down from the higher one and maybe this was the roughed in road right of way. Later I was on the regular bypass trail (because Lizzie Creek was cranking!) when it looked like there was a clearing above. I thought I'd check for road construction so I hiked another 30m uphill and to my surprise, discovered a new bypass trail being built. It was the same red/black flagging as I'd seen here, but here a huge amount of effort had already been spent pick axing a really nice new trail into the hillside. I hiked this the rest of the way out. It's so nice you could run a wheelbarrow or mtn bike down it. 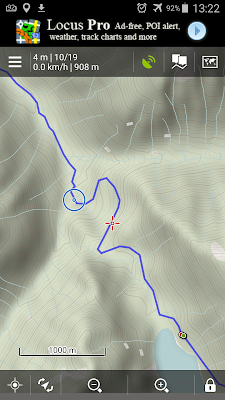 This new bypass trail is really nice because it doesn't descend steeply to Lizzie FSR like the old one, but rather just keeps contouring along the north wall of the valley until eventually the road rides up to meet it. 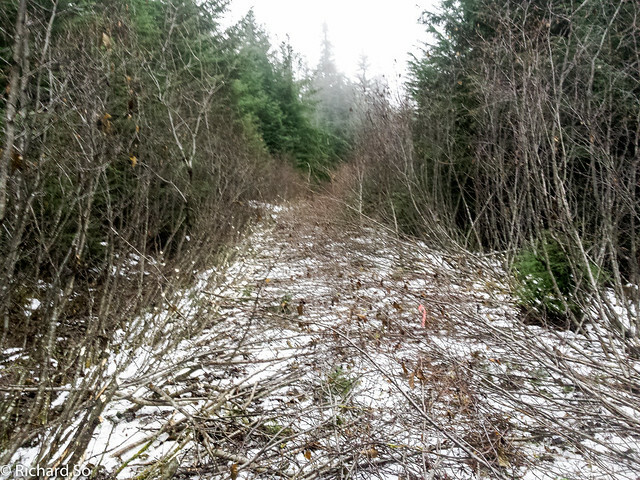 The new trail isn't entirely built yet, but it's mostly there. 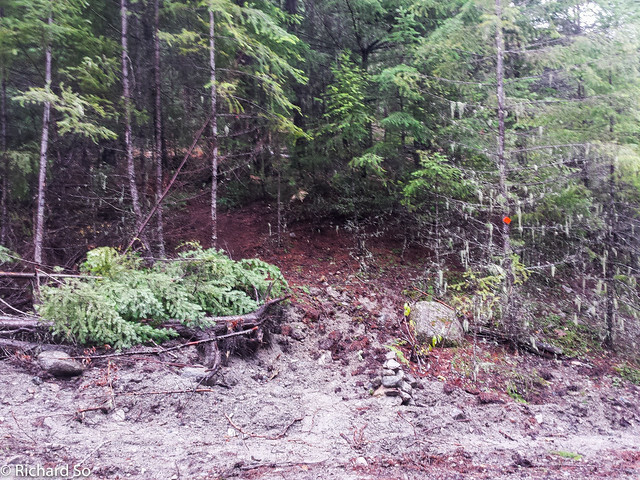 I'm not quite sure where the current construction ends, but one could hike it now and when the trail runs out just descend 20m down to the logging road. It's already way nicer than the old bypass trail. I'm not sure who's building this. Ministry of Forests? It's got official looking orange trail markers on it. I imagine they'll finish it this summer. To find it, go higher up the logging road than the old bypass to the hard left switchback at ~520m. The trail starts right here and is very obvious and well marked. BTW, this is Dan from IntoCascadia.com. Thanks for leaving some firewood. I was the first guy there after you folks a month earlier. No worries Dan! Glad you got up there. Just checked out your blog and you've got some amazing info about the Stein valley there. Bummer that your trip didn't work out, it was insanely hot last week and I agree that you made the difficult but right choice to turn around given the high temps. 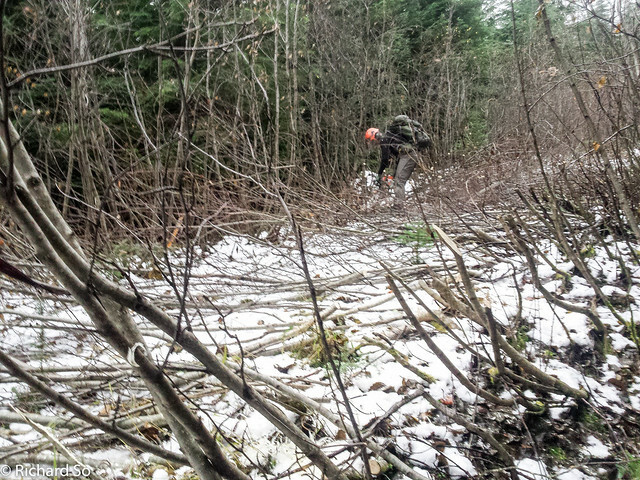 Yeah unfortunately we weren't able to toss the cut alder before it got snowed on top of back in the fall. Do you think you could have skirted the side of Lizzie Lake, crossed the creek draining out of the Gates and worked your way up the talus slope on the right side in the open area or was there not enough snow for that anymore? Great to hear about the new bypass trail! I had heard rumours about it but didn't know any more details. I am also curious as to who's building it. That's great for access! Well I headed back up to Lizzie Cabin this weekend and guess who's name I saw in the guestbook ;) ? I'm stoked that you guys gave it a shot and looking forward to the trip report. I hope it worked out. I tried another attempt at my route over Skihist and then out Kent Valley to raft the Stein River. I made better time on the way this time since there wasn't snow until the Gates of Shangri-La and it was firm enough that I wore shoes to the cabin. I made it to between Caltha and Figure 8 Lakes that night. I woke up the next morning in a dense fog/cloud. Couldn't see anything until 9:30am. It went clear so I headed for Figure 8 lakes but 10 min later it socked in thick with ~30m of visibility. It was hard navigating without proper visibility so it took me a while to get to Figure 8. I checked the weather forecast on my Delorme and it said one more nice day and then 4 days of medium-heavy snows. I waited at Figure 8 for a while but by mid-afternoon I was running out of time to at least to Rutledge valley before the snow would fly, so I turned back. I didn't have enough fuel, food or books to be stuck on the Klackarpun icefield for 4 days. It's a bummer but I'll give it another shot next year. I hope you guys made out better. Also, have you ever thought about getting to Lizzie Cabin via Rogers Creek (one drainage to the south). If the logging road is in good shape, you could drive/ski to 4500' near Shields Peak, and then cross into the Lizzie drainage via Intern Ridge. I was sorely tempted to try exiting via Rogers Creek this weekend just for some adventure but I didn't even have a map of the full valley so I played it safe. Hi Rich, if you organize another road work, please let me know.@778-688-3843. Nice work. but the alder will grow again. Would cutting the low branches and shaping a tunnel in the alders be an easier way to do it in the long term? I'm not sure about the alder tunnel, as we'll like to use this road in the winter for ski touring in the area. Unfortunately, it'll just require regular maintenance. The only "alder tunnel" I can think of would be the road up into the Les Cornes/Steinbok area, but that is strictly for summer climbing access. Looking to head up there this winter some time and want to thank you for your heroic work.